Even though the end of fall means winter is just around the corner, I can't help but love these last few days of warm-ish weather. 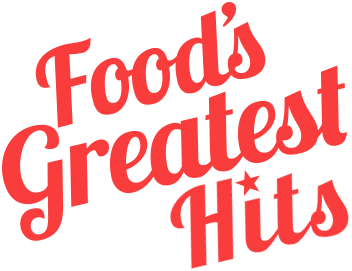 The end of fall also brings the end of the harvest season, when fruits and vegetables are their most robust - sweet is out, savory is in. So to celebrate the last leaves clinging to the trees, I made a simple harvest quiche made with all organic vegetables, real butter, and dry cured peppered bacon. 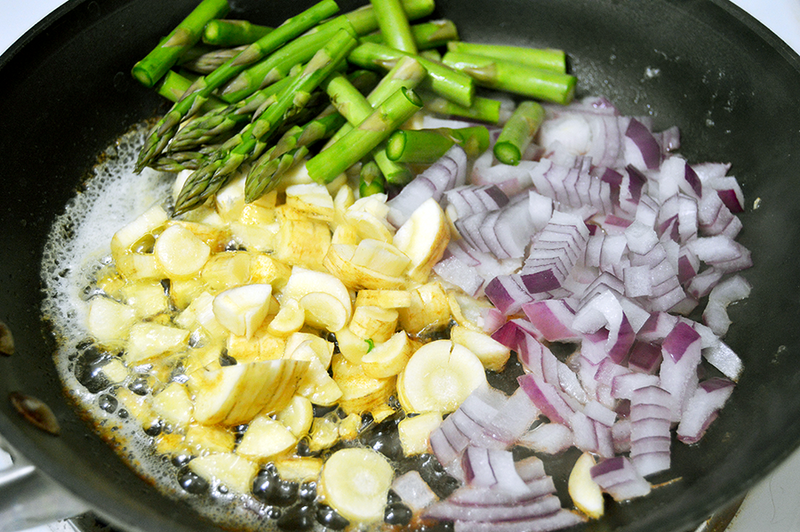 First, saute the parsnip, onion, and asparagus in a skillet with some butter until all of the vegetables are softened and tender. Toss in the tomatoes, mushrooms, garlic, and leeks along with some cooked bacon. Gently toss the vegetables until the tomatoes are losing their moisture and the mushrooms have browned to a consistent coloration. 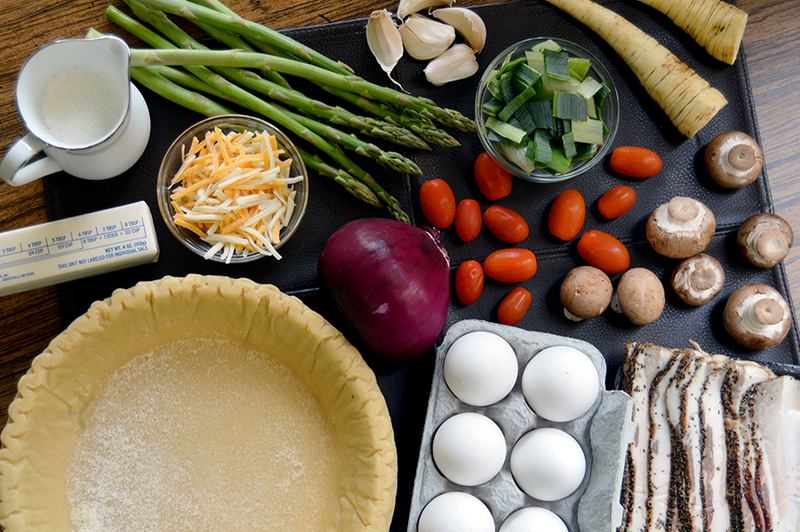 Add the vegetables to the crusted pie pan. I bought mine premade for the sake of time, but if you know a good pie crust recipe, then go for it! In a small bowl, whisk together six eggs with the cheese and heavy whipping cream until the yolks are sufficiently scrambled. Then pour the mixture over the vegetables in the pie pan and tap the edges lightly to release any air bubbles. 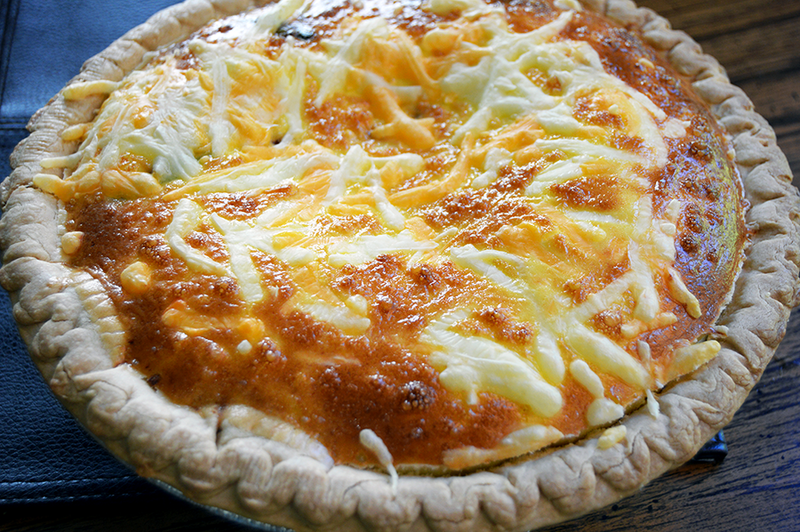 Bake the quiche at 350 F for 25-30 minutes, or until the center is no longer wobbly. Top with cheese or even salsa for some spicy eggs. 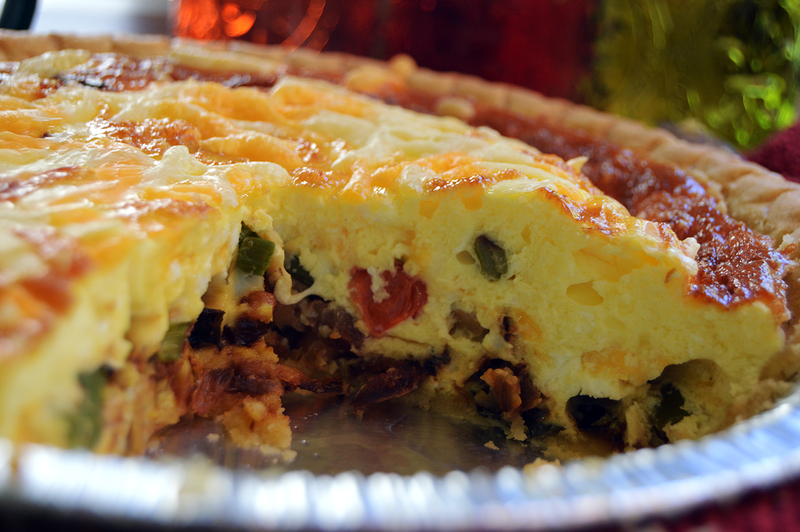 I served my quiche alongside a full Welsh breakfast for the 52 Weeks of Cooking Challenge. My breakfast included strips of dry cured peppered bacon, spicy sausage, perfect paprika potatoes, brown sugar baked beans and a couple slices of sour dough bread. This turned out to be a perfect breakfast for a warm pre-winter morning. It's simple enough that you can change up any of the vegetables to your liking and still end up with something delicious. Preheat the oven to 350 F. Melt the butter in a skillet over medium high heat and add the onions, asparagus, and parsnip. 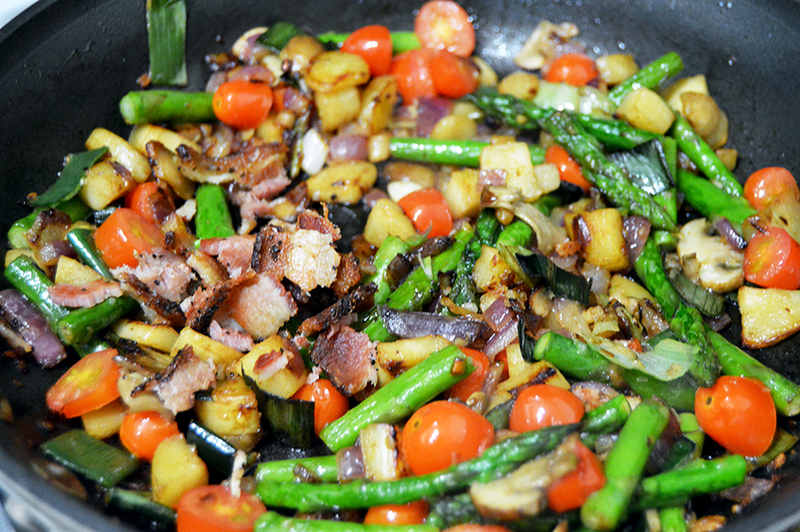 Saute until softened and browning, then add the mushrooms, tomatoes, garlic, cooked bacon, and leek. 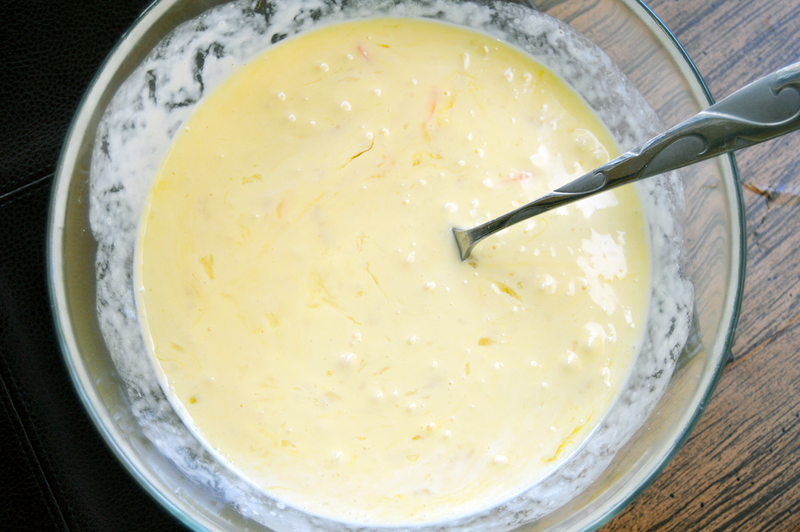 In a small bowl, whisk together the eggs with the heavy whipping cream and cheese. Add a pinch of salt and pepper. 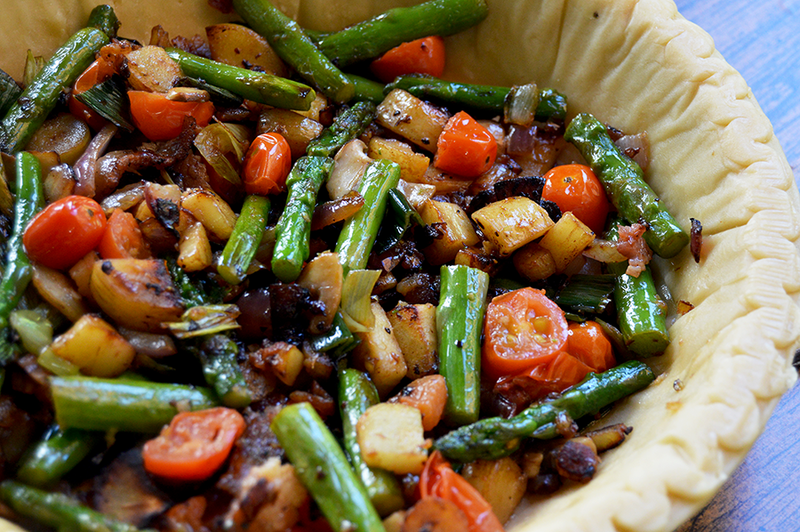 Pour the sauteed vegetables into the pie crust. 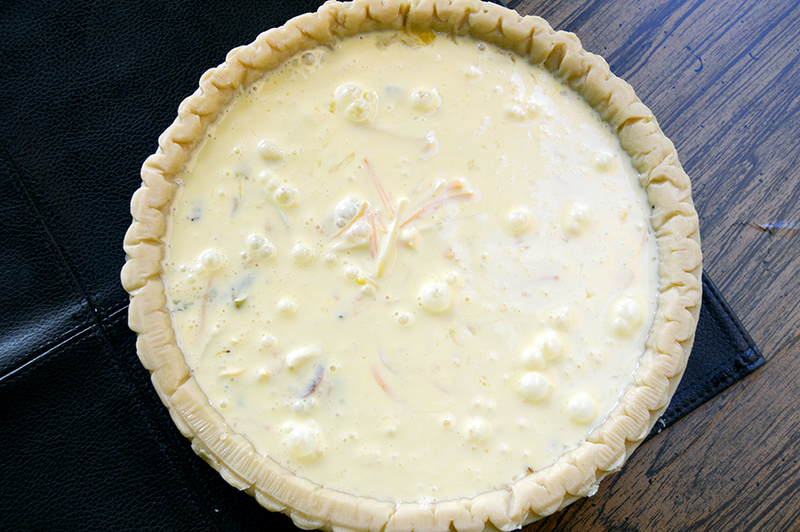 Pour the egg mixture over the vegetables and gently tap the sides of the pie pan to release any air pockets. 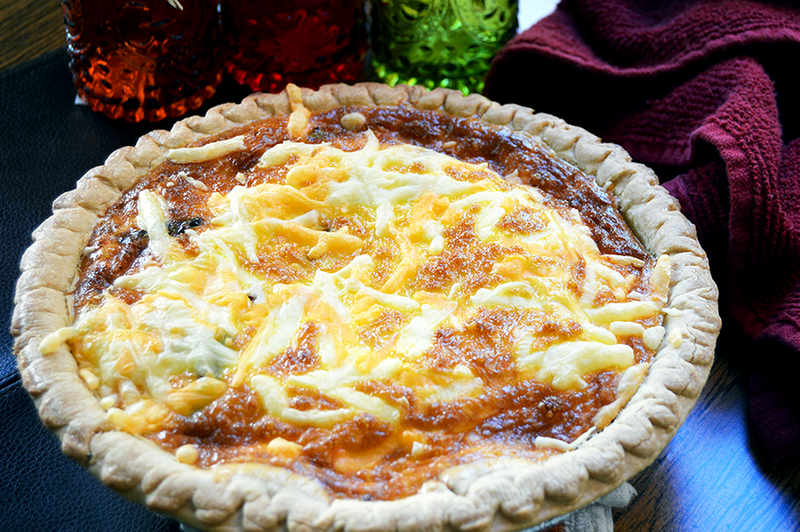 Place the quiche in the oven and bake for 25-30 minutes, or until the top is just beginning to brown and the center is no longer wobbly. Top with cheese, serve immediately and enjoy!